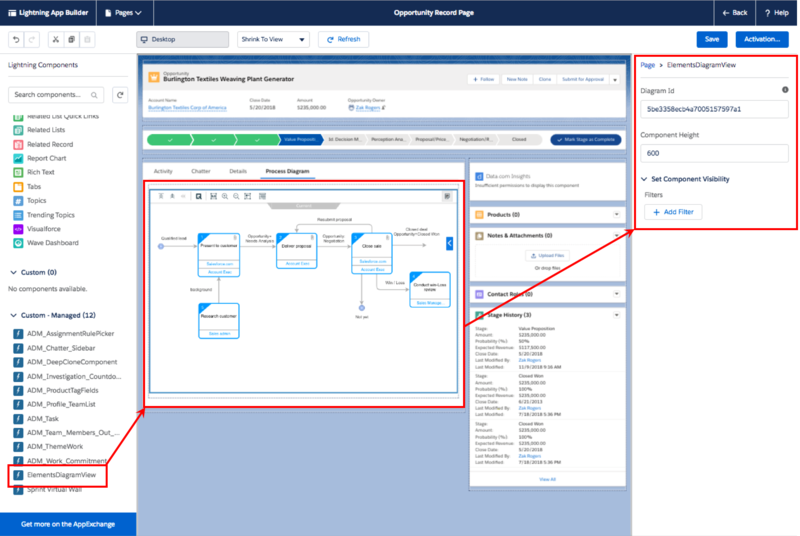 To display diagrams inside a standard or custom object the managed package integration must been installed into a Production Org, the Org has been connected to a Space in Elements (Free or Pro), and user provisioning has been setup so that Salesforce users have a user account in Elements. A Lightning component "ElementsDiagramView" is installed with the Elements Catalyst managed package. 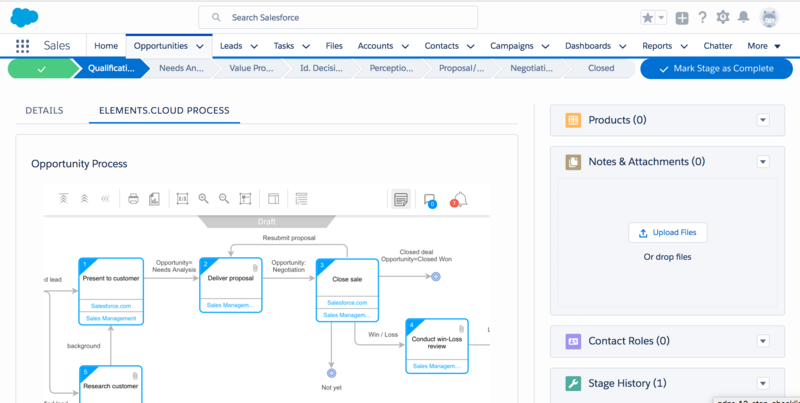 This allows any Salesforce user to view Elements process diagrams in a Lightning page for a standard or custom object. Use Component Visibility to make different process diagrams visible based on the value of a field on the record - e.g. record type.